Blogs The Relationship-Centric Approach to Building Readership, and Blogging: Ten Tactics to Build Traffic. You may also wonder why I’m increasingly writing about blogging here. In fact, Twitter and blogging are very similar in many ways because the technology is broadcast and enables people to “follow” or “read” your content. The interactivity of Twitter and blogs is largely a matter of intention and practice. That’s why I will be addressing blogs here in 2010. Now, read on for some back-of-the-envelope advice on building a following for your blog. Of course there are many things you can do to attract attention, but approach this as a relationship building activity, there are no magic bullets, and most of these tactics will take some time to show results. If you want readers, you need to focus on building relationships with them. You need to demonstrate that you are relevant to your desired readers by showing that you care about things in which they are interested. There are already too many blogs, and the number continues to explode. People must *want* to read you in order to pay attention. That means relationships. Before we get into the tactics of building relationship and readership, think about your strategy. Strategy: Why Do You Want Readers? Why do you want more traffic, and how important is it to you? Unless your blog is uniquely a labor of love, building readership will take work, so you need to understand it and what it is worth to you. Write down your goals and the value you want to create. Really think about, very concretely, your goals, and imagine yourself achieving them. Now you’re in the position to know what it’s worth to you. Here’s how to begin to make it happen. Focus. Most of us live in a long tail world, so unless you are selling a commodity, think specifically about the personas of people you really want to attract. What are their risks and opportunities, what do they care about? What do you care about, and where are the connection points? Network. Who else is writing about these topics and saying something useful? Put them in your blogroll and dedicate time to reach out to them regularly. They will reciprocate by commenting on your posts, too. You will build a network this way. Engage. When you write a post on a topic that some of your contacts care about, send them a link to the post and ask them (in the email) to weigh in on the topic. Explain that all they have to do is use the comment button, which will also help them to build their online identity. Use keywords. Pay a friend who understands SEO to help you develop your ten top keywords, and the second top ten (these are based on your focus and content strategy). Or, roll your own by using LinkedIn to search for keywords and see who pops up (this will be much more effective if you have a paid LinkedIn account because you’ll get more results). Are these the kind of people you want to attract? Also use Social Mention, to test these keywords. Your top ten should regularly appear in the titles of your posts. Use a plugin that automates SEO for your posts. I use All in One SEO Pack. Register with Technorati, and set your blog to automatically ping the blog search engines. Technorati also ranks blogs, and others have their systems. Don’t get too hung up on your ratings and rankings, as each search engine’s “black box” is an unknown quantity. Be patient. This takes time, and don’t forget that big numbers are usually deceptive unless you’re selling a commodity. Most of us live in the long tail. I use blogging primarily for thought leadership, and my blogs have modest numbers of readers. I aim for smaller numbers of highly specific people. Be persistent. If you are committed to building relationships and your content strategy (it’s something you’re really interested in, right? ), that will help you keep putting yourself out there and don’t forget to comment on your blogroll’s blogs, too. Use Feedblitz or another service that lets people subscribe to your blog. Feedblitz sends digests of my blogs to subscribers automatically, every month. The ad version is free to publisher (me) and reader. Don’t feel that you have to use all of these to get in the game; adopt the ones that make the most sense because all will help you. Don’t subscribe to marketing-oriented media, which hypes big numbers; media still don’t get the long tail. The mass marketing culture is mostly over, but they haven’t gotten the memo. Especially in B2B, you really care about a very small number of specific people. Engage them. I use my blogs for thought leadership. I also write about very specific things that are interesting to executives, who need to understand disruptions for their own survival and to help their firms survive or thrive. However, I often reference my posts to people I meet, and I send people links. Your posts are always useful in this way. Don’t feel like you have to have a lot of readers to be successful. You need a few of the right kind of readers. If you aren’t blogging yet, use EGTW’s guide to get on in about an hour, Blogging Quick Launch Guide. 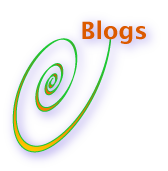 Here are additional blogging resources. The post Blogs The Relationship-Centric Approach to Building Readership appeared first on Christopher S. Rollyson and Associates.